We had a great time shooting several Senior Portrait sessions this past month. While we are very flexible and want each and every Senior Portrait session to be different and original, we do have several predetermined locations that are outstanding spots for senior photography here and around Las Vegas. Two of our favorite locations are the Arts District in Downtown Las Vegas and Nelson Nevada, a ghost town about 30 minutes away. In what we call an urban package, we take our seniors to the Arts District and Fremont Street area to get some fun, gritty images, just a little urban with focus on the Senior of course. 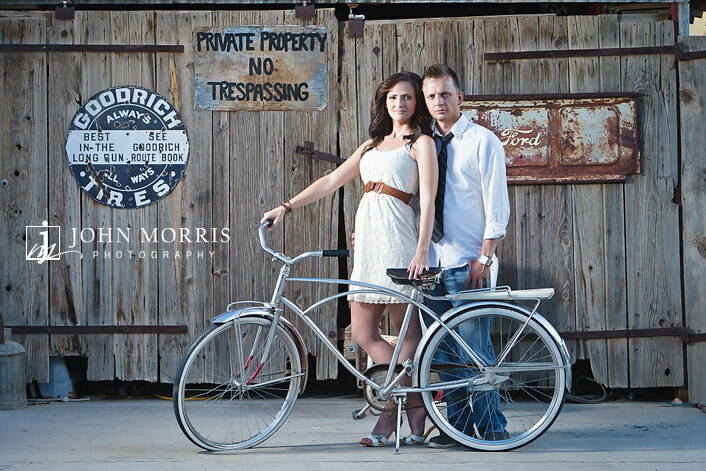 We also offer a Rustic look which is where we like to use the Nelson Nevada location. With its old wood buildings, mining structures and great desert scenery it adds a bit of outdoorsy charm to our images. Nicole and Kari, the seniors featured here were great to work with and as you can tell, we had a great time. It is very important that we work with a relaxed style, directing instead of posing to get the great, natural expressions that really bring out the personality of the seniors. 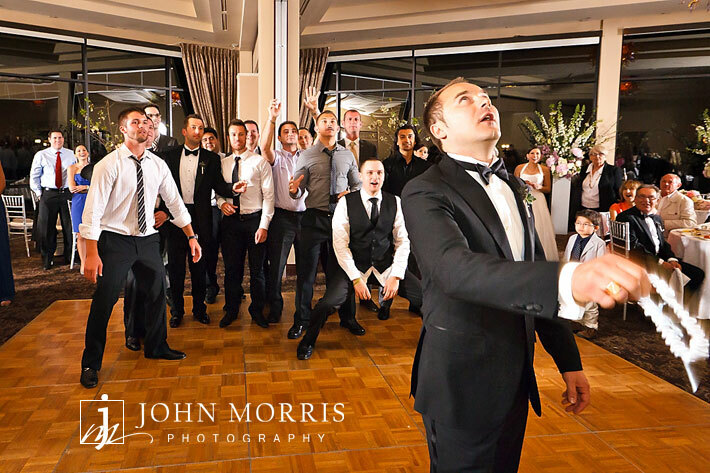 Check out our website at http://www.johnmorrisportraits.com/ to take a look at what we offer. There is no better compliment than I can think of than to be referred by a past client, but this one was special. 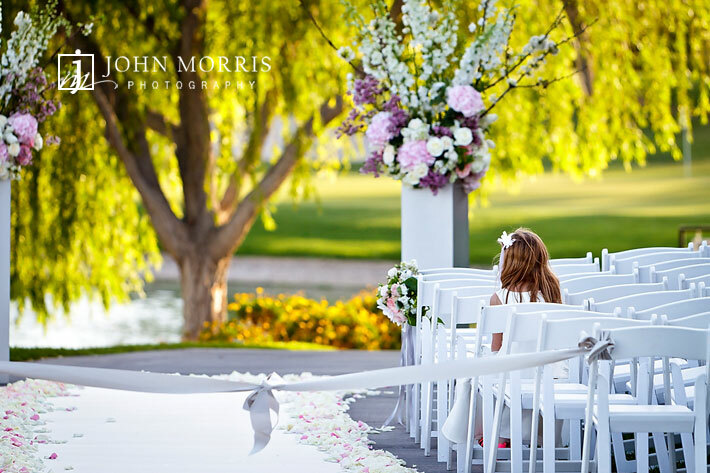 When Julia called us and asked me to photograph her wedding at the Spanish Trail Country Club here in Las Vegas, I knew right away who had referred her. 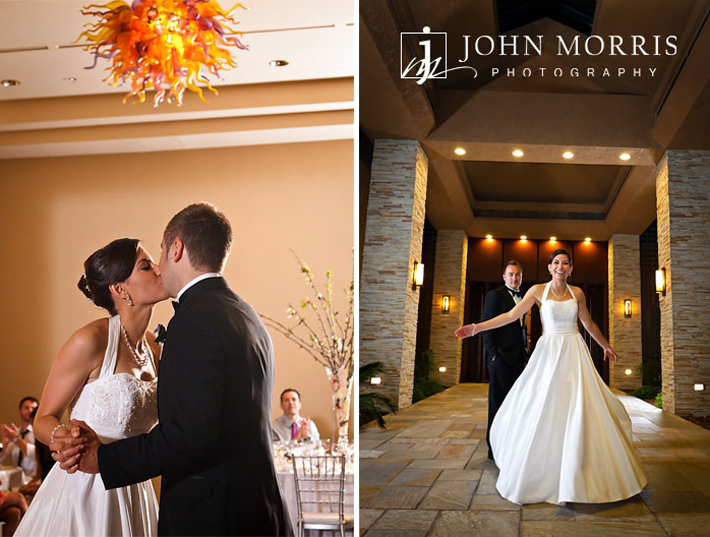 We had photographed her sisters wedding just a year earlier at the same beautiful Spanish Trails venue. The twist to this story is that Julia and her sister Jenny are identical twins. Having photographed both girls’ weddings, I can easily tell them apart now, but had you asked me to do that a few years ago, I wouldn’t have been able to. I was honestly a bit apprehensive about shooting Julia’s wedding for the simple reason that I always approach each wedding as the unique event that it is and I wanted to make sure that I photographed Julia’s very differently than her sisters. Even when I have photographed at a venue many times I am always looking for new angles and different images, however this would be much more demanding because the brides were identical twins, the venue was the same, and the family had seen my work just a year before. I was really looked forward to challenging myself to make sure this wedding looked uniquely different. Unfortunately the challenge was less than I expected as Julia really made things easy for me. She added her own personal touches by choosing a different area of the venue for her ceremony, a beautiful location under a giant willow and next to Spanish Trails’ signature waterfall. Julia’s new husband Philippe is French and the wedding took on a European flair with many of the wedding quests flying in from France just for the occasion. There were two wedding cakes. 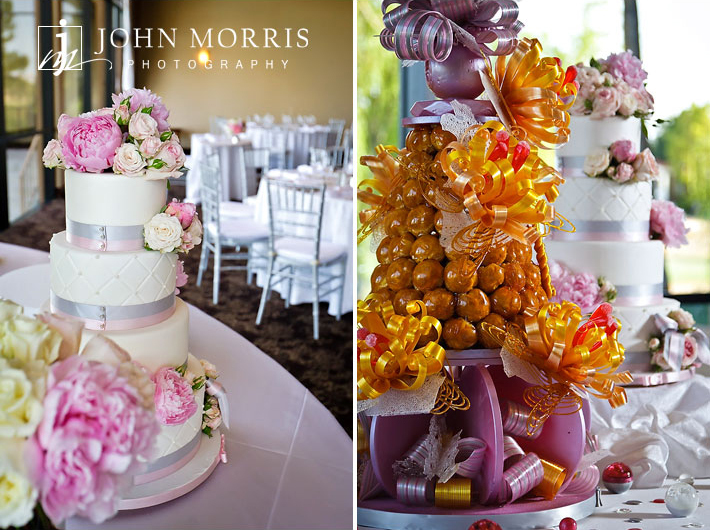 One, a beautiful traditional wedding cake, and the second. a French wedding cake from Pastry Chef Florent Cheveau of Jean Philippe Patisserie at the Bellagio. Mike Fox DJ’ed the event with his usual wit and charm and as always it was a pleasure working with the guys from Memory Lane Video. As you can see by the photos, it was an elegant affair, perfectly designed and planned by Julia and her family and I was honored to have been asked back to photograph her wedding. 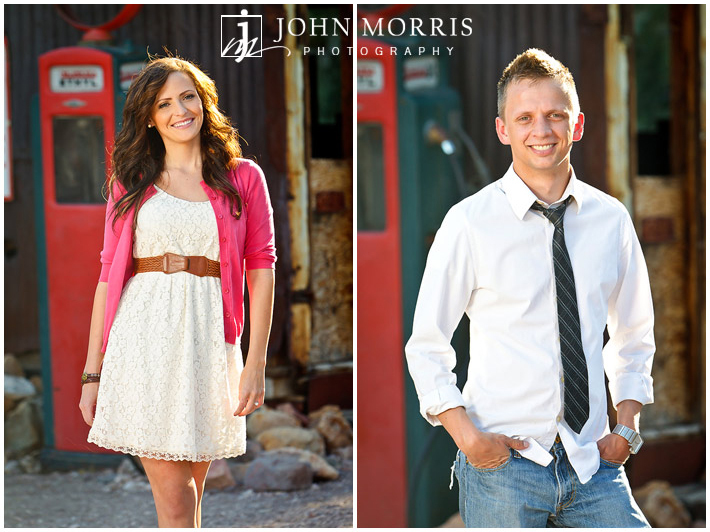 Las Vegas Engagement Shoot, Nelson Nevada. Meet Elizabeth and Tyler. They are engaged to be married on August 25th of this year at the beautiful Siena Golf Club here in Las Vegas. I was excited and honored when they asked me to photograph their wedding because not only do I get to work with this great couple, but I also get to work at Siena with Rachel Barrozo, Siena’s wedding coordinator. Rachel and her staff have always been great to work with and I look forward to another beautiful and successful collaboration. Amelia C and Co provided the hair and makeup for Elizabeth and as usual, they did an outstanding job. We have had the privilege of working with Amelia and her girls several times in the last month or so and they not only do outstanding work, but are also some of the most professional vendors I have the pleasure of working with. Elizabeth and Tyler are locals, living in Las Vegas and they wanted to avoid the whole Las Vegas wedding shtick. Nothing to cheesy or Elvisy. The ghost town at Nelson was an obvious choice for their engagement shoot with its combination of romance and fun along with the usual great lighting and lack of cheese. As a professional, I wish I could say that I really had to work hard to get these great shots but in reality, all I had to do was find the right light, stick this couple into it and let them go to work. Obviously in love, the photos speak for themselves, fun, natural, not to posed.., wonderful. One of the real benefits about doing an engagement shoot is that we (I and the couple) get to know each other a little better and we can begin to develop a relationship that easily carries over to the wedding day. Elizabeth and Tyler learned a little bit about me and how I work and hopefully they will trust me to take care of them and create some great wedding memories. I learned that Elizabeth has an even dryer sense of humor and sarcasm than I do. Should make for a great wedding day. Enjoy the photos.